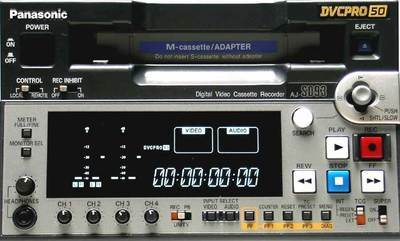 The compact AJ-SD93 DVCPRO50/DVCPRO desktop recorder is equipped with an IEEE 1394 digital interface. 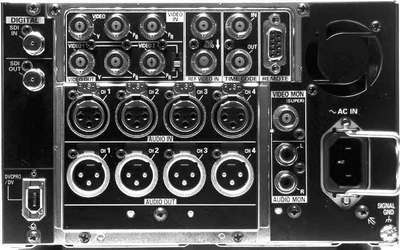 Also included are the optional analog and SDI interface boards. 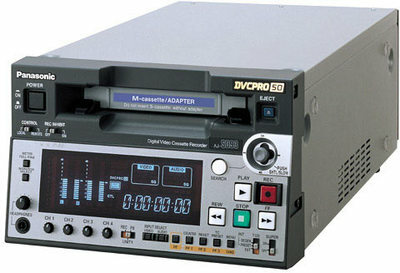 Because it plays back DV and DVCAM sources as well as DVCPRO and DVCPRO50, the AJ-SD93 allows editing with a variety of sources. The AJ-SD93 also offers a Monitor Out terminal and a newly designed joystick that provides easy, comfortable operation of functions like Shuttle Search and Slow. Rent the Panasonic AJ-SD93 DVCPro Deck from Deck Hand Camera Rentals Today!